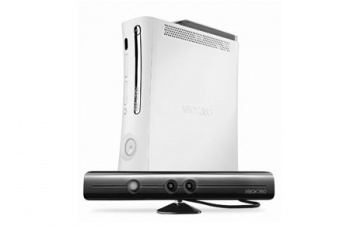 The Xbox 360's Project Natal might not be as cheap as many had hoped. Despite analyst reports that Microsoft's upcoming Project Natal would be given an affordable price at around $50, consumers may be facing a cost three times as much. A "trusted source" at Edge Online has put the motion camera control system at an expected price of $149. The source also told Edge that Natal will be bundled with an Xbox 360 Arcade unit for $299. Sony's Move, the PlayStation 3 motion controller considered to be Project Natal's competition, is expected in multiple bundles, but with a sub-$100 price. Natal's name may also be in for a change, with the source saying it "definitely" won't be called Natal. As expected, Natal/MicroEye/GatesVision will be "heavily targeted towards casual players and families." It's possible that Microsoft's strategy here is to align Natal itself alongside the Wii, as if buying a Natal camera would in effect add a Wii to your 360, making it somewhat "cheap" in the eyes of the casual consumer. While $50 would have been an easy buy for me personally, if Edge's source turns out to be correct I don't see myself purchasing Natal anytime soon. Microsoft will have to demonstrate that Natal can be used for more than a Pong/Dodgeball game and rafting/molesting game if it wants consumers to shell out that kind of dough. Then again, I'm far from casual, so I'm not Microsoft's target market. Still, maybe Microsoft will make a believer out of me and the rest of the more-than-casual community when it fully reveals Natal at E3, but for now this somewhat expensive price is confounding, if true.